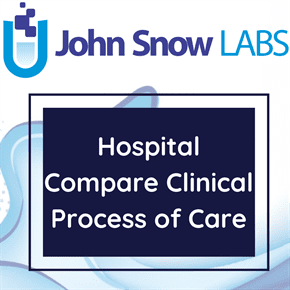 This dataset contains a list of hospitals participating in the Hospital Value Based Purchasing Program and their Clinical Process of Care domain scores, Patient Experience of Care dimension scores, and Total Performance Scores. The Hospital Value Based Purchasing (VBP) Program is a Centers for Medicare & Medicaid Services (CMS) initiative that rewards acute-care hospitals with incentive payments for the quality of care they provide to Medicare beneficiaries. • The quality of care provided to Medicare patients. • How well hospitals enhance patients’ experiences of care during hospital stays. Hospitals are no longer paid solely on the quantity of services they provide. Congress authorized Inpatient Hospital Value Based Purchasing in Section 3001(a) of the Affordable Care Act. The program uses the hospital quality data reporting infrastructure developed for the Hospital Inpatient Quality Reporting (IQR) Program, which was authorized by Section 501(b) of the Medicare Prescription Drug, Improvement, and Modernization Act of 2003. • How much they improve their performance on each measure compared to their performance during a baseline period. CMS assesses each hospital’s total performance by comparing its Achievement and Improvement scores for each applicable Hospital Value Based Purchasing measure. CMS uses a threshold (50th percentile) and benchmark (mean of the top decile) to determine how many points to award for the Achievement and Improvement scores. CMS compares the Achievement and Improvement scores and uses whichever is greater. To determine the domain scores, CMS adds points across all measures. 1) Combining the greater of either the hospital’s Achievement or Improvement points for each measure to determine a score for each domain.